Space is limited to 65 guests. Reserve your ticket now. I would like to reserve my space online now! I cannot attend, but want to show support! I am reaching out to you today, on the eve of Teatro Paraguas' twelfth season, to invite you to our gala celebration Celebrate Teatro Paraguas! which will be held on August 22nd from 6-9 pm at a private Santa Fe residence. 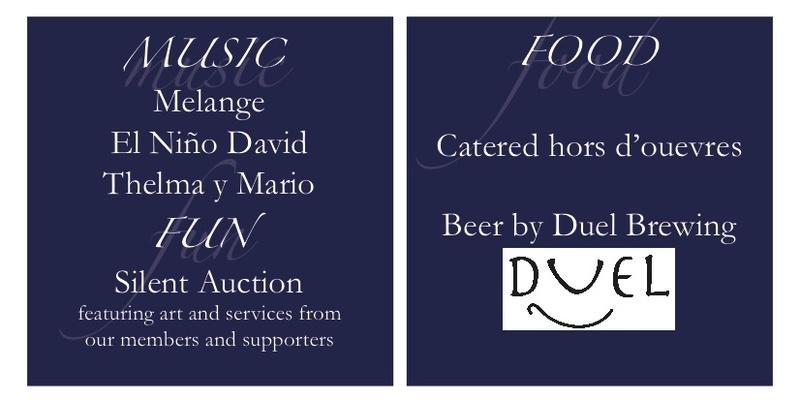 This catered event will feature music, performances by our members, and beer from Duel Brewing. Teatro Paraguas continues to uphold its mission by producing Latino, local, and multicultural drama and performance art of the highest quality, nurturing the next generation of artists, and providing a necessary and valuable space for community art and dialogue. Teatro Paraguas is a black box theatre space that is committed to supporting community poetry and performances by making the space available at affordable (often donation only) rates. Teatro Paraguas has established a thriving relationship with the Santa Fe poetry community, and was the 2015 recipient of the New Mexico Literary Arts Gratitude Award! In our eleventh season, we co-produced the world premiere of Cascarones by Tejana playwright Irma Mayorga, produced the classic South American play Death and the Maiden by Ariel Dorfman, Not Quite Right by local playwright Robert Benjamin and Elaine Jarvik, a bilingual production of Mariela in the Desert by Latina playwright Karen Zacarías, and a bilingual poetry performance of Word Over All: Walt Whitman and Pablo Neruda. Teatro Paraguas Children's Theatre had two eight-week sessions culminating in productions. Teatro Paraguas also performed bilingual Cuentos (folk tales) free to the public at local libraries for our next generation of artists. We also had two fun community celebrations and performances for the Day of The Dead and Christmas. Our upcoming season continues this tradition, and will be announced at our twelfth season Gala event, Celebrate Teatro Paraguas! 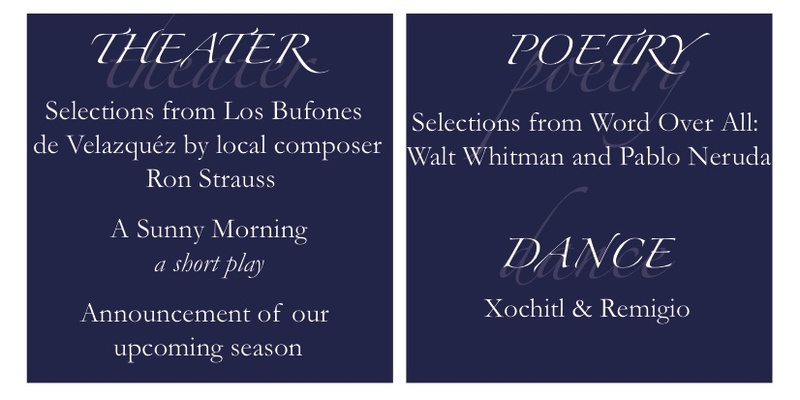 In a quick preview, I can tell you that we are producing a lovely new play by a local female playwright, a beautiful, lyrical piece by a Pulitzer prize winning Latina playwright, a satirical comedy set in Santa Fe, a special poetry performance featuring the work of a New Mexican poet, and an upbeat urban drama by an award- winning Latino playwright. We also have plans to open our 13th season with a musical presentation by a local composer, and you'll get a preview of the music at our Gala event as well. Your attendance at the gala shows your support of our work, helps ensure that our actors and crew get paid for every production, and keeps our ticket and rental prices affordable. We strive to make our events accessible to those on a limited or fixed income, including seniors, students, and workers in our community. We do this by keeping ticket prices lower than the Santa Fe norm, and by having flexible and reasonable rental rates. We feel this is important to our mission and are strongly compelled to uphold these policies. As a result, due to our limited space, we are also limited in income potential. Teatro Paraguas has been surviving primarily on box office, rentals, advertising and grants. Currently, only 10% of our budget comes from donors. Our goal is to increase that number to 15% this year, as we struggle to pay the rent and keep our prices low for our community. We are one of the only non-equity companies in the area committed to paying its actors and crew for each performance. Your support allows us to continue our traditions and enrich our community. I hope you can attend our gala, and support the work we do. If you cannot attend, we ask that you open your hearts and wallets to our cause and our mission. We are always grateful for any donation you are willing to give. When you invest in Teatro Paraguas, you invest in our community. Thank you for your time, I hope to see you at the Gala on August 22nd!